The Beatles were four young rock 'n' roll musicians from Liverpool, England. They were born with this song. Beatles knew that the music was the best way to express feelings. 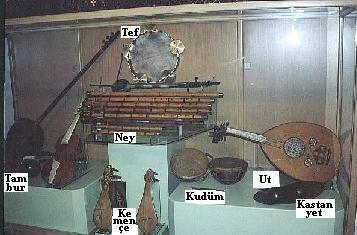 Please find below their instruments used to perform their music..
Mevlana Celaleddin RUMI (1207-1273) is famous Turkish philospher. Mevlana had gone one step further than Beatles in explaining love. For Mevlana, the aim of life is to be reunited with God. This can be achieved through the love of everything that exists (since everything in the world is a reflection of God) or through death. For Mevlana death would take him to his Beloved; that is, the God..
Whoever, whatever you may be, come.. Though you are heathen, fire worshipper or idolatrous, still come.. Ours is the portal of hope, come, as you are..
Bridge game is an excellent means to build friendship: Use bridge game across the Internet to build friendship bridge around the globe. Please find below the equipment you need for your mission. Good Luck. As you guessed this is the last lesson of "Lessons in Bridge" series.. In this lesson I will explain endplay techniques in bridge, and I will also describe your mission as a Bridge7 member. In the game of bridge a play ends when 13 tricks are played. In some plays, you may start preparation for the ending part in early stages. If you learn endplay techniques, you may change the ending part of a play from chaos to joy. The stage of life is not very different than the table of bridge: Instead, the number of tricks that must be played is unknown until the end of the play. This is normal: Because the number of tricks you made has no effect on the score.. There are many systems in all over the world. Almost all of the systems accept the same scoring in which fair play and kindness get highest score.. In all systems players learn their own endplay technique when he/she was a little boy/girl. All the techniques are based on happiness..
"All they need is love, love is all they need"
Beatles and Mevlana used music and dance to express themselves. An endplay occurs in a bridge play when a player gives away a trick forcing the opponents to lead into his "tenace" holding.. This can be achieved if you left with a single or double suit. If South leads ace of clubs first, he is end played.. If South leads ten of clubs East is endplayed. A- If South plays four of hearts, West is endplayed to give one trick to South. B- If South plays four of clubs, West is endplayed to give two tricks to South. When South leads J, West gives last two tricks to declarer.